League of Legends developer Riot Games has announced a partnership with Mastercard to become the first, exclusive global payment services partner for League of Legends esports events. 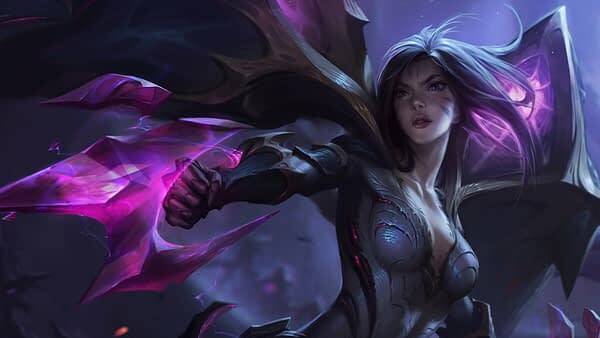 The partnership is part of a multi-year deal between Riot and Mastercard and will include LOL‘s three annual major esports tournaments: the world championship, all-star event, and mid-season invitational. The partnership will also include special in-game benefits for card holders as well as special ticketing programs for the tournaments. “League of Legends” first launched in 2009 and has 100 million players worldwide. It also has one of the most robust esports scenes in the gaming industry. The 2018 Mid-Season Invitational, which took place in June, had 19.8 million concurrent viewers at one point and 60 million unique viewers, according to LoL Esports. But, Riot is thinking of cutting its esports budget. In a Reddit post last month, it said it spends over $100 million annually on esports worldwide. If revenues don’t increase within the next three years, Riot’s budget will need to decrease by some amount. While you might think the partnership is a bit odd, and we’ll grant you that it is unique in the gaming world, credit card exclusive ticketing programs are not new. Concerts, plays, musicals, and traditional sporting events often have similar partnerships with exclusive ticket windows for card holders. This is just the League of Legends version.